The KIKK Festival is a Belgian event that happens yearly where some of the best creative minds in digital and other media come together and share their work, inspiring all who attend. While it’s always hard to showcase a great website using just images, we’re sharing just a few screen shots here so you can get the idea before you visit the site yourself. Using a really creative cursor design, the site treats your cursor like a little window into the world beyond as you move it around on the website, highlighting an area of pink in the site and revealing unexpected colour and detail in the design and typography. We do suggest you visit the site and spend some time looking at how they’ve solved the problem of having a really exciting and interesting site which delivers on their interests of both digital and creativity working together. It’s only once you check out the different pages and see how it all works that you’ll truly appreciate what they’ve done here! This entry was posted in Multimedia and tagged KIKK Festival, Multimedia, Multimedia Design, Web, Web Design on September 28, 2018 by stellenboschacademy. Each year, our 3rd year multimedia students create and produce their own short film. This year, our Multimedia class of 2018 worked together to create ‘Abide’. Abide was shot on location in Eden Forest, Theewaterskloof Dam and Bettys Bay in the Western Cape, South Africa. Joshua Stadler, Cinzia Cioffi, Jordan Isaacs, Aphiwe Mwezeni, Marco Da Silva, Elize Goosen, Tegan Oldknow, Dru Sin, Clinton Wing and Rob Olivier. Produced by Shooting Blanks Productions. Shooting Blanks is a student-driven short-film production company. Thank you for joining us on our journey to conceptualise, produce and launch our first ever independent movie short as part of our multimedia design degree at Stellenbosch Academy of Photography & Design. Without any further ado we present: Abide. This entry was posted in Academy Work, Multimedia and tagged Film, Multimedia, Short film, Stellenbosch Academy on September 26, 2018 by stellenboschacademy. Thurstan Redding is a young fashion photographer who shot these beautiful portraits for French Magazine, M Le Magazine du Monde. Rather than focus on young models, as he usually does, here he turns his camera to an old age home called Castle Village in Berkhamstead, England. Rather than a sad, bleak outlook on old age his images here capture the joy and good times that can be had when one is getting on in years. What this work does too is show how important a sense of community can be in old age, rather than the isolation many older people end up living in. We can only hope that when we reach this age we’ll be having this much fun! This entry was posted in Photography and tagged Old Age, Old Age Home, photography, Thurstan Redding on September 26, 2018 by stellenboschacademy. It’s no secret that we love some good craft beer design. We’ve shared a whole lot over the last few years! Today, we’re sharing some work from PangPang Brewery, based in Sweden. We love their fun, colourful, design and illustration style – bringing some much needed fun to the beer category! While mainstream beer often gets stuck in ‘heritage’ and other ‘premium’ design cues, craft beer itself can sometimes end up being just a little too serious. We love the energy and excitement of these designs. How could you not want to drink one of these! This entry was posted in Design, Illustration and tagged craft beer, Design, Illustration, PangPang Brewery on September 24, 2018 by stellenboschacademy. Intrínsecos is a subscription based book club in Rio de Janeiro, with a corporate identity to make any design fan drool! It was designed by Estudio Pum, a design agency based in Sao Paulo. Check out more of their amazing look below! 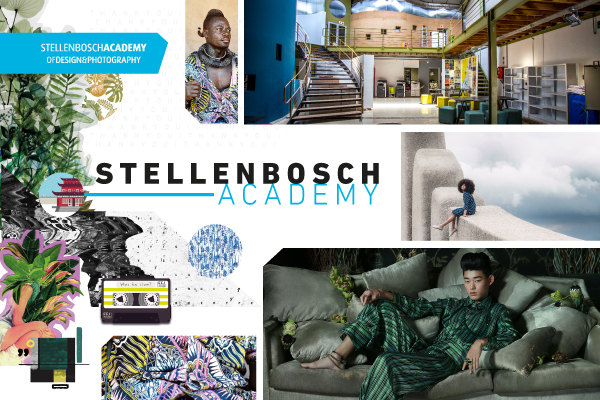 This entry was posted in Design, Illustration and tagged Design, Illustration, Intrinsecos on September 21, 2018 by stellenboschacademy. We’ve just heard that two of our students were named as finalists for the Student Gold Pack Awards 2018. What a great way to start the week! Daryl Surtees, a 3rd year Graphic Design student, created the packaging for a Hair Grooming Kit that treats the undesired lice on children’s heads. She made a concerted effort to create a kit with natural ingredients opposed to chemical ingredients. This more holistic approach was spurred by an article in which a mother sprayed insect repellent onto a child’s head and consequently the child succumbed from repellent poisoning. Daryl also identified that the comprehensive treatment process would include having to use multiple products and to make this process hassle free she combined all the products into one convenient easy-to-use innovative pack. Taskeen Osman, a 2nd year Graphic Design student, designed a new approach to bottled water. Taskeen’s approach was to use water infused with edible herbs and plants containing the health benefits of each plant. The name BLOOM was chosen while she was looking for a synonym for “refresh”. Bloom captured her attention as it can be defined as more than just “a state of flowering”. The word as a verb, means to come into or be in full beauty or health; to flourish. Bio-degradable plastic as material was used for the bottle, this is recyclable, reusable and also compostable. The bottle cap is manufactured from PET plastic, as it is PVC-free and can therefore be recycled. To learn more about the Student Gold Pack Awards, you can visit their website here. Good luck Daryl and Taskeen! This entry was posted in Academy Work, Design, Illustration and tagged Awards, Design, Finalists, Illustration, Packaging, Student Gold Pack Award on September 17, 2018 by stellenboschacademy.